The Internet of Things (IoT) has revolutionized the way we live and work - from our thermostats to door locks and even lighting, developments in IoT will continue to make an ecosystem of intelligent devices in our homes a reality. Everyday household objects are now connected devices designed to make our lives not only easier, but more relaxed and convenient. Connected devices such as smart meters and door bells have existed for a long time, giving customers a taste of what’s to come in the future. As the industry continues to gain momentum and expand, the connected home market is predicted to grow from $24 billion in 2016 to $53 billion by 2022. However, the connected home isn’t the only area where IoT is creating significant excitement and change. These connected devices are set to benefit a range of businesses and industries including hospitals, retailers and factories, and traditional office environments. IoT is an area that more and more manufacturers with large and complex production facilities are looking to exploit and take advantage of the possibilities on offer - especially as so much can be learnt from the already successful market of the connected home. As the Internet of Things has become more mainstream, vendors and businesses alike have taken inspiration from the smart home model and quickly realized that connected devices have plenty to offer a B2B environment. Then there is retail, where IoT is being used at virtually all stages of the product journey. This starts with optimizing the supply chain and using analytics to ensure the right products are in the right place at the right time, while also enabling brands to transform the in-store experience and connect with shoppers in a more personal way. So, it’s clear that IoT is set to gain substantial value within the enterprise over the coming years. But, in order for its potential to be realized, there is one key challenge that will first have to be overcome. However, from an enterprise perspective, the challenge comes in being able to efficiently manage and control hundreds or potentially thousands of smart devices. Simply keeping track of the vast swathes of data being generated from devices in a range of different locations and from an assortment of vendors is already a serious issue and is likely to be the biggest IoT challenge IT departments will face in the future. What IT departments don’t want is multiple data streams. This would end up being very confusing to manage and would not represent a true reflection of what was actually happening across the business. An IoT ecosystem must have an integrated view in order to be managed as simply as possible. 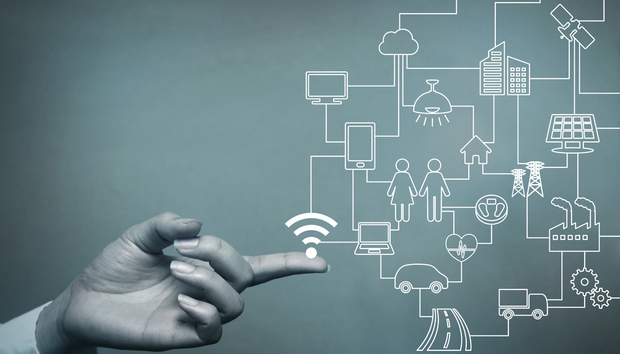 Businesses must incorporate an effective device management plan in order to unlock the full potential of what the connected future of IoT has to offer. IT teams would have far better visibility of what was going on at each endpoint, allowing them to maximize the value of the data being recorded. Advancements in the consumer world have shown the benefits that IoT can have in our lives on a daily basis. Whilst there will be challenges to face when implementing IoT in business, by using the concept of the smart home and putting the right software in place, businesses will be able to utilize the many advantages that IoT has to offer.